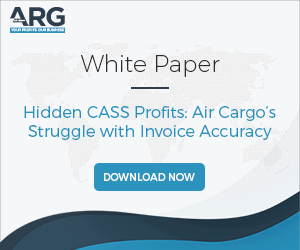 In ARG’s white paper “Hidden CASS Profits: Air Cargo's Struggle with Invoice Accuracy”, the issue of invoice accuracy is reviewed as well as its impact on carrier profits. Your CASS adjustment rate is above 1%. Yes, CASS adjustments usually are the result of an overcharge to the customer.